Shaldon on the South Coast of Devon enjoys a unique summer Water Carnival for residents and visitors, held on the 1st Saturday in August each year. A fun-filled, family day of events that is now in it's 57th year. We offer you the excitement and colour of a carnival plus fun on the water in the form of outstanding carnival floats made locally and teamed by different groups of locals. The colour and diversity of the dressed boats creates a wonderful view on the water, and huge efforts and amounts of time are volunteered in the run up to the Shaldon Water Carnival to get craft seaworthy and looking their best, making it a real ‘community’ event. the Clipper Quay and we throw in a children's magic show, craft stalls and much, much more. The evening sees us move to The Village Green for a children's disco followed by a BBQ with live music and dancing 'til late. Water Carnival Day is funded through three other village events that are also organised by the Water Carnival Committee and through local sponsorship. 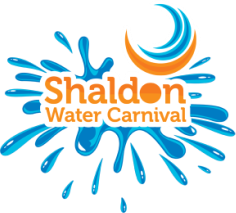 As well as organising this great family entertainment for the village, the Shaldon Water Carnival committee also makes donations to various local groups and organisations in Shaldon and the surrounding area. These donations can be made towards sport, arts, local care groups and educational activities in Shaldon and the surrounding area. Shaldon Water Carnival is a not-for-profit organisation run by a team of hardworking committee members and volunteers who live in or near the village of Shaldon. The Carnival relies on volunteers, sponsorship and advertising and bucket collections to cover the cost of putting on all of the events. The Carnival benefits the village through offering fun events and drawing in lots of visitors. We gratefully recognise the input of the loyal businesses and volunteers that we already have on-board, but would like to ask that everyone who enjoys Carnival Day and our other events considers sponsoring, either through giving us some time to assist with events, donations, sponsorship, programme advertising or raffle prizes. For anyone wishing to give us their time, advertise in our programme or would like more information on sponsoring events please contact us or visit our Get Involved page... we appreciate your support.